MY TWIN FLAME TWINKLEBEAR: She’s a “Naiad”—a water nymph. Imagine coming across a bubbling spring in the wilderness of ancient Greece. If the merry tinkle of the water, the soft bed of moss on the spring’s bank, and the fragrant water flowers that dip over the water to gaze at their reflections are not enchanting enough for you, imagine a graceful woman with snow-white limbs and long, silky hair peeping out of the lilies. She is a Naiad (water nymph), and her divine spirit has given this spring its spellbinding beauty. 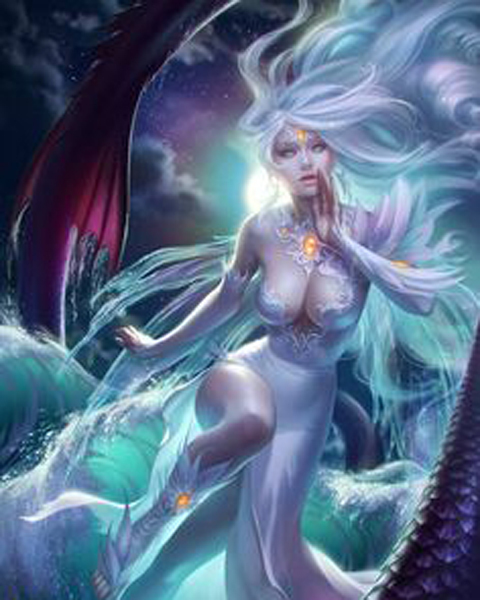 Naiads are ravishingly beautiful women, with long graceful limbs and flowing hair. Their beauty is all the more devastating because they like to roam around without clothing, and many men—gods and mortals alike—have fallen under the enchantment of the “unshod” Naiad. Naiads exist on the cusp of immortality. So long as their home waters run strong, they remain young, beautiful, joyful, and vigorous. However, if their waters run low, their strength slips away from them. If a Naiad is provoked, her anger is reflected in her waters. She can make water simmer with the heat of her fury, and she can unleash flash-floods or droughts upon her enemies. She can also change the quality of her water, making it yellow and wretched with sulfur, or white and sweet, like milk. My Twin Flame Twinklebear, is a Naiad—a water nymph of mythological fame. She and the element of water, are like hand in glove. As a matter of fact, she and I are hand in glove as well, because fortuitously I am an Aquarius—having been born on January 22nd—a water bearer. Talk about symbiotic relationships! TWINKLEBEAR IS A WATER NYMPH: And I am a water bearer, bearing her water in the form of love and support. 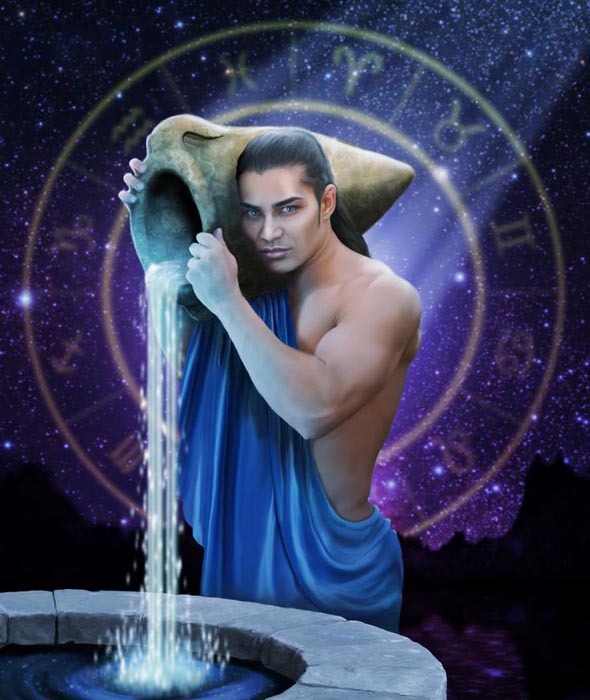 The symbiosis of our relationship of water bearer and water nymph might be largely symbolic, but it is a symbol of the very real love and support we unconditionally give to each other, especially in times of strife. An example of strife was Twinklebear’s fight with a serious health problem that occurred in September of last year, a health problem which thankfully has resolved wonderfully. My priority during her recovery was a total and unconditional love and support while she got well again. She was a water nymph and I provided her water, symbolically. Another outcome of Twinklebear’s ordeal since her surgery, was the discovery of swimming as a therapeutic modality of choice. She is a true “Naiad”–a water nymph! I really admire her dedication to swimming. For the past few months, she has swam twice a week like clockwork! I had my own strife this year, after I had pretty serious surgery in August, surgery that I am currently recovering from. Twinkelbear in this case, had totally supported and loved me. It is funny, but her advice regarding my recuperation, are to the point and blunt…. Ha! And she thought I was “blunt” as an American stereotype when we met in late 2015! With me, she is as stubbornly blunt as can be! That last sound was the sound of my Baby “DONKING” me with her legendary “Donking Mallet.” So funny! Oh my God, I love our sense of humor so much. It sustains me. But speaking seriously, Twinklebear and I do have this symbiotic relationship, that is so caring and reciprocal, that we could switch roles of the “water nymph” and the “water bearer,” and it would not matter. The end result would be the same. An unconditional love and support of the other. This is so great my Sookybear, I love it! Aww….I love you! Always happiest, when I am in the water, whether it be a pool, or a ( bath) wink! It is so invigorating. Your words, do ring true . I have always , loved the water, used to take ages, to get me out of it,still does.i have actually upped my swimming,to 4 times a week now. Yay! I love how we care, and support one another..